Shoals will face a serious test of her speed when she clashes with boom sprinter Nature Strip. 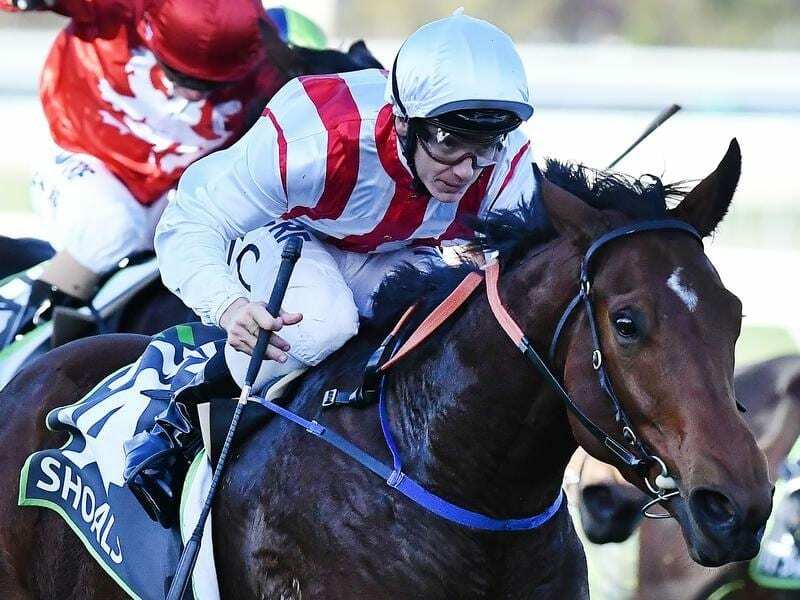 A clash with boom sprinter Nature Strip looms for triple Group One winner Shoals in the McEwen Stakes at Moonee Valley as the mare begins her path towards the $13 million The Everest. Shoals has a slot in next month’s Everest (1200m) at Randwick and Saturday’s weight-for-age McEwen (1000m) is one of two planned races on her way there with the Group One Moir Stakes also on the agenda. The Group Two McEwen has only attracted a field of eight but there will be plenty of interest, with the Darren Weir-trained Nature Strip getting another chance to press his claims for one of two remaining Everest slots. Nature Strip was the $1.50 favourite on Wednesday for the McEwen, his first start since a six-length win in the Listed Lightning Stakes in Adelaide in late July. The Anthony Freedman-trained Shoals was on the second line of betting at $4.60 ahead of Houtzen at $8. Shoals won her third Group One of last season in the Sangster Stakes (1200m) in Adelaide in May and has pleased her connections in two Cranbourne barrier trials and her lead-up work to her seasonal return. “Her trials and work have been really good so we’re really pleased with her and we’re looking forward to getting her back to the races,” Freedman’s racing manager Brad Taylor said. “The grand final is still five weeks away so there’s plenty of improvement to come yet. Sydney jockey Tim Clark will be in Melbourne to ride Shoals who has barrier five with Nature Strip in barrier one. “There will be plenty of speed in the race and look for her to be coming home strongly,” Taylor said. Shoals is one of two confirmed Everest runners for the Freedman stable, with Santa Ana Lane the other. Santa Ana Lane kicked off his Everest campaign with a closing fifth under 60kg in last Saturday’s Group Three Heath (1100m) at Caulfield. “He’s come through that run super,” Taylor said.